The Journey Continues – Do you Believe in Your Own Magick? Walking the path of Wicca has never made me a magician. 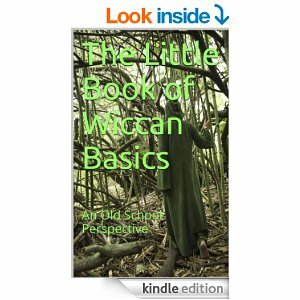 Wicca is a spiritual path with magick as a “perk”. There are energies that exist, both inside and outside of our bodies, that are invisible to many people, but still exist. Knowing that these energies exist, and learning to tap into them, is what creates the opportunity to create magick for the practitioner of Wicca. You can be a magician or a sorceress/sorcerer and have no spiritual affiliation at all. Magick asks no one to believe in anything other than the existence of magick itself. Witches (those who walk the path of Wicca) have known of the existence of these energies for millennia and use them to heal and help others. Here’s the thing…you do have to believe for magick to work. If you doubt it will work, if you feel less than worthy, then your magick has little chance of manifesting whatever it is you did the magick to attain. For a long time, I used to be able to do “work” for others and know it would work (and it did), but could never do magick and have it work for myself. Why? Well, I think somewhere inside myself I felt I didn’t deserve whatever I was casting that spell to manifest. It took me a while to catch on to what was happening. Do a healing spell for someone else – no problem – they got better. Do a money spell or a spell to get a job for myself – forget about it! – nothing. Decades later, when I ran across the Law of Attraction, I realized it was the Universal Law behind magick. It is so very true that you can conceive of what you want; cast the spell, ask the Universe, however you work your “magick”, but you must believe in order to receive! As I’ve said in previous articles, thought gets us started but feeling is the fuel that moves the energies that produce the results we receive. You can do the most elaborate spell, using all the accoutrements of the Witch or magician, but if you don’t feel yourself receiving the desired results, none of it matters. Nothing will happen. There’s another side to this though that I want to mention. Over the course of all my years on this path, I’ve been exposed to those who want to talk a lot to others about their magick. They’ve cast this spell and done that magick. What’s almost always been the most interesting is that these same people live a life that is sorely in need of that same magick. They’re financially down in their luck, have extremely poor health, and/or they find themselves alone without love. It puzzled me for a long time that if they were that good at magick, why weren’t they using it to help themselves? An interaction between two people really made me stop and think. You see, there was this magician who was asked to bless a hand-pumped well. There were many of us who had always drank from the well, with no ill effects, but we thought having it blessed would be an extra piece of protection so we asked him. He agreed and did the blessing, even painting magickal symbols on the pump. Here’s the thing…he would never drink from that well. I didn’t think anything about it until someone else asked the question if the magician’s magick was all he said it was, why wouldn’t he drink from the well? I’d known the magician for a while and knew his health wasn’t the best, but still, to bless a well and then not be willing to drink from it? Did this speak to a lack of faith in his own magick, even though he always spoke otherwise? I bring this up, not to besmirch the magician, but to bring to light what may be happening for others – a lack of belief in our own magick. If you do a protection spell to keep safe from burglars or some other form of harm and still find yourself frightened, do you really believe in the magickal energies that you just summoned to protect you? I think not. You have allowed your doubts and fears to wipe away the chance of attaining the protection you sought. You must believe! You have to be able to feel you are safe – that the energy work you just did has put protection up that will not be foiled by anything or anyone. If you feel uncertain, then you just created a gap in those energies that will allow whatever you were trying to protect yourself from to gain access to you and/or your home. You must know, without any doubts whatsoever, that you are safe. That certainty assures that the energies stay in place, protecting you from anything or anyone that might want to do you harm. Is this why there are people who ask others to do magick for them? In some cases, I think this is true. We have been taught to doubt ourselves and our abilities. We have been taught to believe others are more powerful than we are. Wow! That’s two strikes against us already. Here’s the truth of the matter though – no one can feel what you feel. To ask someone else to do a spell for you to attract love seems ludicrous considering they have no idea what you want in an intimate relationship with another person. Only you know what you want and how you feel. First, though, you have to move past any feelings of doubt, fear, or unworthiness. You are the one who wants the relationship, the love. You should be the one to work the magick! This also explains why Wiccans are taught to know themselves first, before anything else. To understand your fears, doubt, and other feelings of uncertainty, you must get to know the real you. Doing this before working any form of magick is wisdom. In learning about who you really are you understand you wants, needs and desires and these are the things that spur us into magickal action. You could say that knowing yourself is a foundation stone in doing positive magick that works. So do you believe in your own magick? I hope so. If not, then know there is still time to get to know yourself and stand in your own power to work the magick to change your life! This entry was posted in Astrology, Pieces of the Puzzle and tagged Belief, Doubt, Fear, Knowing Yourself, Law of Attraction, Magician, Magick, Paganism, Samantha Herron, Self-Empowerment, Sorcerer, Sorceress, Spirituality, Wicca, Witch, Witchcraft. Bookmark the permalink.